You may register for most classes until the day the class begins - exceptions would be classes where we have to prepare a kit for each participant. Remember that there are minimum enrollment requirements as well as maximum student number limitations. You may not want to wait until the last minute to reserve your place. Payment of the entire class fee is required upon registration. Refunds will be given if for some reason the class has to be cancelled or if notification is given by the student at least one week before the class is to begin. Classes will be cancelled one week prior to the start date if enrollment is not sufficient. Students will be given a 10% discount on all supplies purchased at The Fig leaf for classes requiring materials (kits excluded). Discounts will be given after the class fee has been paid and will last only for the duration of the class. Please click on each class title for more information, including dates, times, and costs. Join us for this two year journey as we make the Dear Jane quilt and study the Civil War. There are 225 blocks in the quilt. We will make approximately 10 blocks a month. This monthly software club will help you learn and master your Floriani Embroidery Software. Making a portrait quilt is a great way to dive into art quilting. Choose a photo of a person(s) or animal(s) to work from, and we will teach you how to; edit your photo, create a 'pattern', choose fabrics, use various applique techniques to create a portrait with fabric, and how to either enhance with thread, or quilt to finish. We will have ample time to work in class, receive one on one assistance, and hold group critiques. 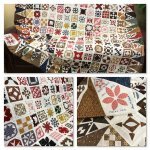 Block of the Month Quilt for 2019, ?Stargazer?. Our Saturday Sampler meets once a month, the second Saturday of the month, for 10-months - January through October. 5th Saturday Club is designed to be a private sale day for those who purchase a 5th Saturday tote bag - one person per bag, per year. Anita University 2-Day Event- 501:In the Hoop! At an Anita's University you will learn new techniques, master ones you've never seen before, and learn to apply them to different collections and projects. 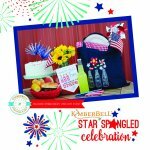 Education, Gifts and Prizes provided by AnitaGoodesign. 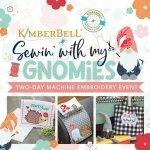 Fun one day embroidery event!